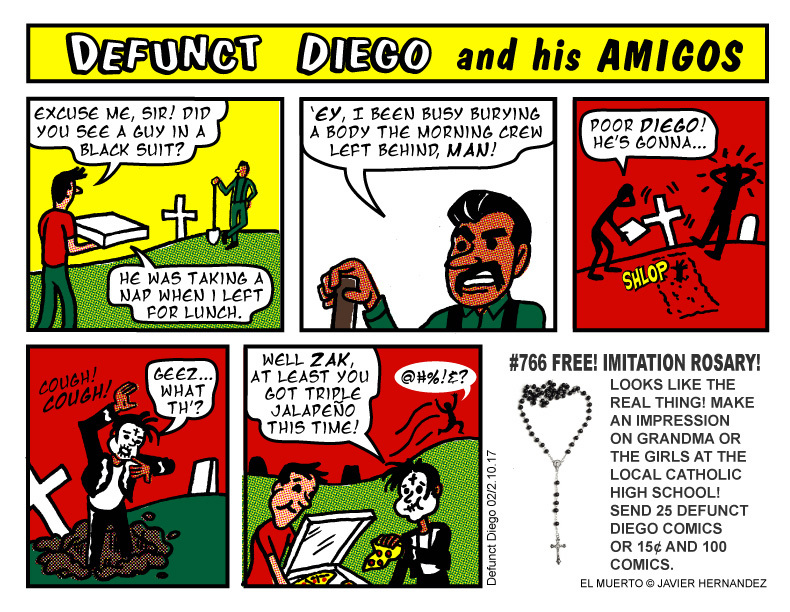 DEFUNCT DIEGO is my homage to the Bazooka Joe comics printed on wax paper and which included a piece of bubblegum. I always loved the fact that they were the world's smallest comics, and always featured simple little gags meant solely as fun. Last year I published the first episode (which I have now updated somewhat so the lettering and coloring matches the style I did the new one in). I'll do these periodically as I work on my longer comics. Hope you enjoy!